/ Have a Lead Foot? These Radar Detector Apps Will Be Your Best Friend! Have a Lead Foot? These Radar Detector Apps Will Be Your Best Friend! Drivers pay as much as 7.5 billion dollars in traffic fines every year. That number doesn't even include parking tickets. Every time you start your engine, you run the risk of contributing to that total. There are an estimated 25 - 50 million traffic tickets written each year. Which violation is most common? You guessed it. The most frequent reason is speeding. 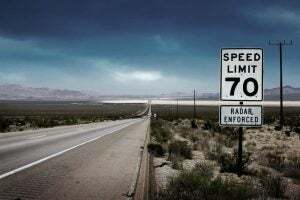 Want to protect yourself from becoming a speeding ticket statistic? We've got a few radar detector apps for you. First, slow down. Just because there are tools to help you avoid speed traps, it doesn't mean you should be weaving through traffic 15+ mph above the limit. Overly-aggressive driving and racing can have heartbreaking results. There's a difference between having a heavy foot and a dense brain. Nowadays, there are tools to help you avoid unnecessary and costly tickets. Many are available for free or at very low costs right there on your Android or iOS device. Waze, owned by Google, isn't marketed as a radar detector. 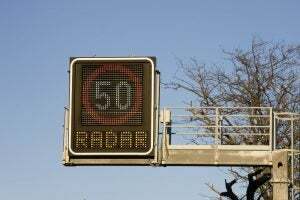 But it's widely used as a warning system for stationary speed traps. Waze offers a robust set of traffic avoidance tools. It relies on real-time crowd-sourced data entered by its 65-million active monthly users. 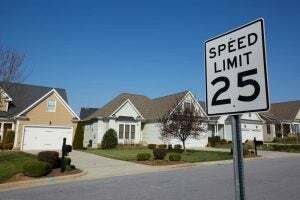 Data can include the location of fixed speed and red light cameras, and police speed traps. Sometimes, taking the correct route is a far better option than speeding. Waze helps you to avoid jams, construction, and accidents by offering quicker routes. Users receive real-time alerts by entering their route ahead of time. Entering your route isn't necessary, but the app works better when you do. There's good news for Apple CarPlay users. iOS12, set for release in fall 2018, will support Waze and Google Maps. Currently, your only option is Apple Maps which is... meh. You can manipulate crowd-sourced data. There are rumors that officers use the app to unmark their location, leaving you vulnerable to detection. Sneaky, sneaky. While you can expect accuracy with regard to fixed cameras, you will find some false alarms. Using Waze doesn't eliminate the need for vigilance. 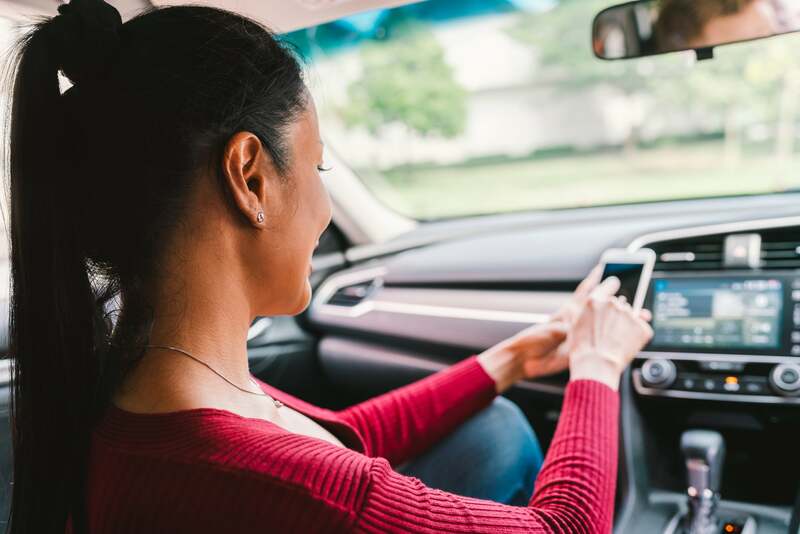 If you're looking for ways to avoid spending some serious cash on an effective radar detector, then Waze isn't a complete solution. It is, however, a helpful addition to your traveling toolbox. Waze provides time and trouble saving alerts through an easy-to-use interface. Can't hurt to have a free police tracking app that gets you where you need to go, right? Use the Cobra iRadar app as a stand-alone service. For better protection, pair it with a compatible Cobra iRadar detector. Cobra iRadar combines crowd-sourced alerts with comprehensive red light databases. When used with a compatible detector, your device serves as an interactive interface. It alerts you to nearby radar or laser emissions while also providing community alerts. Cobra's iRadar is ad-free. That's always a plus. The app integrates itself with your device. With access to your calendar and address book, it becomes easier to access directions and traffic information. Crowd-sourced alerts help to identify officers who aren't actively using their radar. When using a detector alone, you're in trouble if you're the first one pinged. If your detector starts beeping, it's likely already too late. As with any crowd-sourced speed trap alert app, false alarms happen. Some users feel the interface is a little clunky and the maps are somewhat simplistic. Cobra's iRadar is a top quality, effective tool for getting you where you need to go quickly and safely. As a standalone tool, it provides useful real-time information and alerts. When linked with a Cobra detector, you will feel confident that you'll find no surprises ahead. Let us start by clearing up any possible distrust. We are in no way affiliated with any of these apps. We gain nothing by posting our opinion here. Glob's GPS, Traffic, Radar & Speed Limits (GTRS) is a clear winner. One of its best features is its ability to run in the background. The app will still send audible notifications when there is an alert. It'll also continue to collect driving conditions when running in the background. It's getting traffic data from any of its three million users, whether their app is in the forefront or not. Like the Cobra iRadar, Glob's GTRS has a comprehensive database of mobile and fixed speed cameras. They're updated monthly. This app offers crowd-sourced traffic alerts for accidents, jams and speed traps. It even provides automatic rerouting when real-time traffic conditions call for it. It doesn't have anywhere near the number of users that Waze boasts, yet. An excellent app for anyone wanting comprehensive crowd-sourced and database alerts. It comes down to your personal situation. 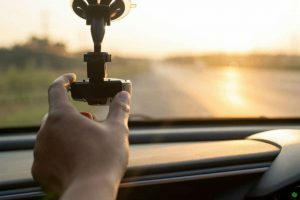 If you're a crazy-fast driver, then spend the money on top-notch equipment and radar detector apps - or just slow down. Before you buy, be sure to know the laws in your state. For everyone else, there's plenty of value in some of these low cost and free app services. Have any suggestions? Leave a comment below!